I based most of my solution and understandings on several posts from Dave Ward. Although Dave’s excellent posts cover everything written here and more, it still took me quite a while to get this going. That is why I decided to sum up my current experience in this single post, which may be considered as a quick guide to having jQuery call WebMethods (PageMethods in particular). Assuming that we have the following PageMethod, how do we use jQuery to call it? Use the correct url for the PageMethod. 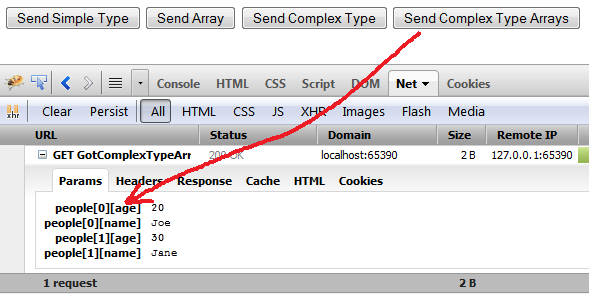 Ensure that the client and server use json content types. Pass arguments to the PageMethod as JSON strings (see the ‘JSON, objects, and strings: oh my!‘). Interpret the result using the ‘d’ key (see the ‘Waiter, there’s a .d in my msg soup!‘). Correct url? No surprises here. In order to invoke the correct PageMethod you have to supply a valid url for that method. It’s easy to use ResolveUrl to get this right. 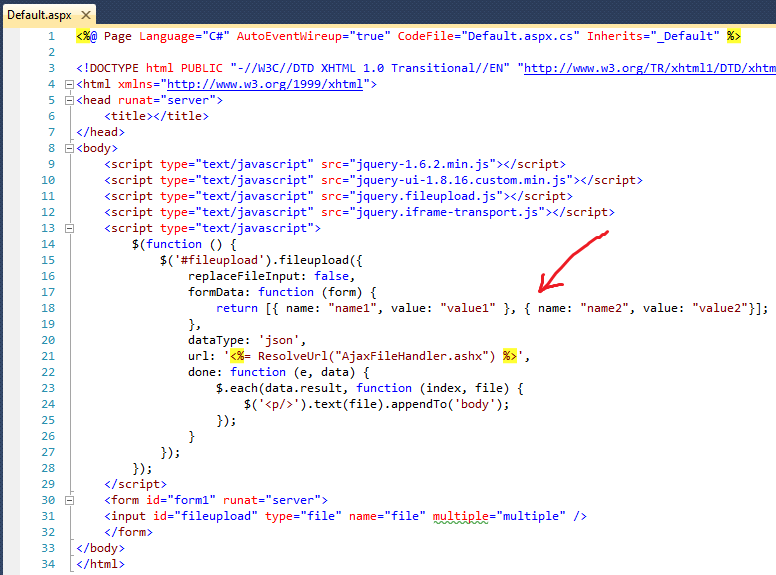 json: As you can see, I used jQuery’s ajaxSetup method in order to assure that all ajax calls are sent using json. Naturally, you don’t have to do this if you do not want JSON, or if not your calls are json-based. But, no doubt that placing the ajaxSetup call in a js file that gets loaded from a master page is very comfortable to ensure that all your jQuery ajax calls are using the same basis. Whats with the ‘d’? As explained in Dave’s post, ASP.NET 3.5 and onwards returns a JSON response from the server with a key of ‘d’, for security purposes (preventing XSS attacks). 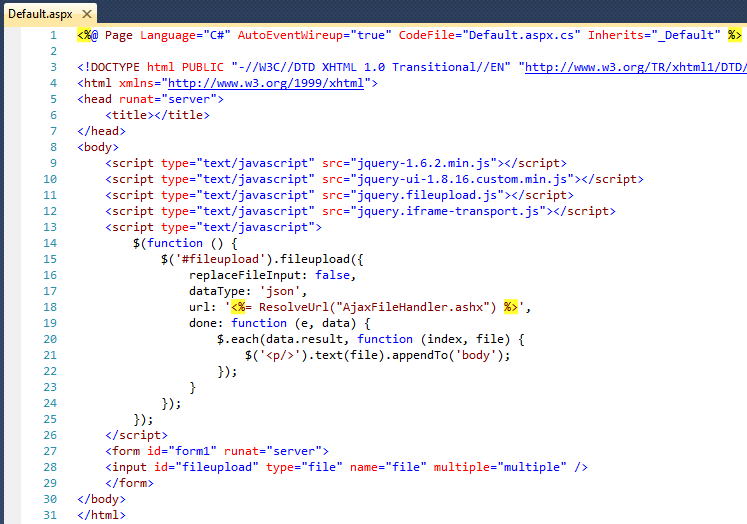 While ASP.NET Ajax framework automatically handles the new ‘d’ formatted result, so that you’ll end up with the intended data without ever knowing that a ‘d’ was there in the first place, you have to handle this manually when using jQuery and WebMethods. 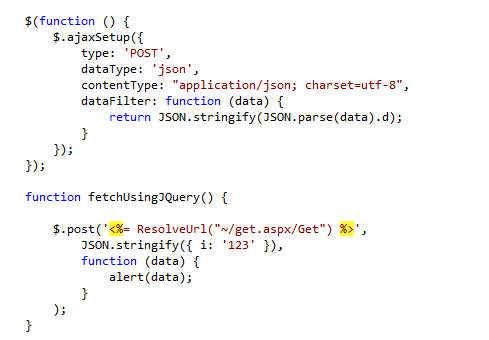 jQuery’s combination of ajaxSetup and dataFilter event allows us to handle response from the server prior to actually calling your “onsuccess” callbacks. 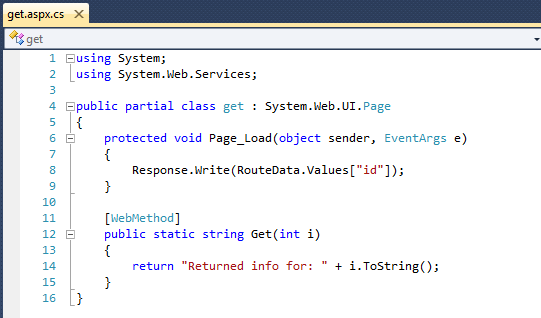 The proposed solution in the code above assumes that our site is working only with ASP.NET 3.5 WebMethods, and therefore a ‘d’ is always returned. I believe that usually that will be the case, although a more complex solution for checking if a ‘d’ is there already exists. Anyway, the proposed solution simply takes a JSON string returned from from the server, parses it and extracts the actual data from the ‘d’ key. It then transforms the actual data back to a string (which is what jQuery will expect to get when the dataFilter event has ended…). 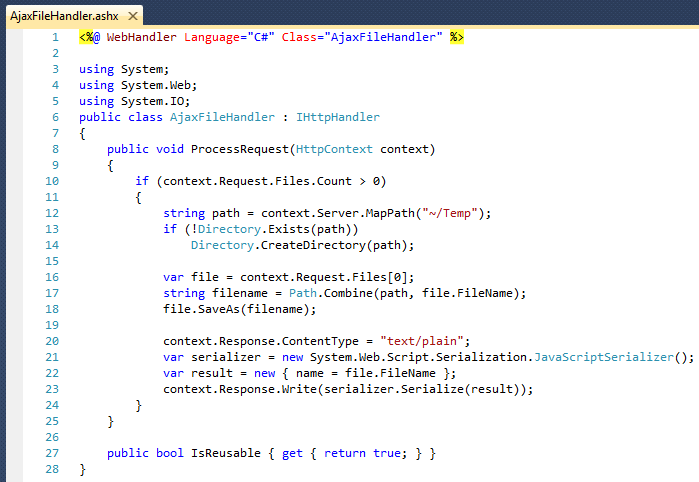 Following the described steps should get you to use jQuery with ASP.NET’s WebMethods and PageMethods. After this has consumed precious time to get going, the big question that remains is: was it worth it. You could argue that using jQuery is faster, or that it seems like MS’s client framework is destined to “retire” in favor of jQuery. But honestly, having to go through all this trouble for calling a PageMethod just seems way too much. In short, personally, I’d rather have the good old script proxies which are extremely easy to use over the not-so-trivial jQuery alternative. 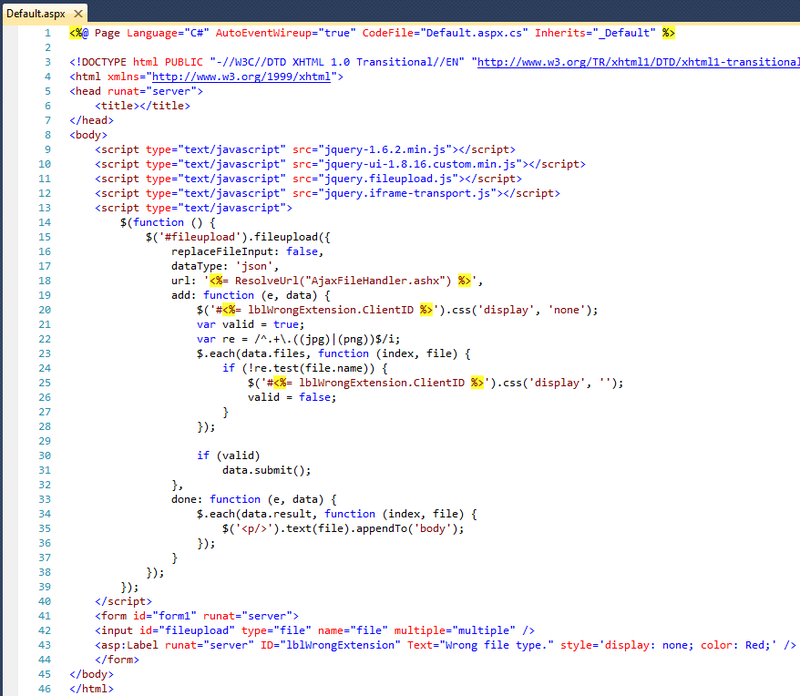 Just a reminder though: in MVC using jQuery is quite trivial. Ajax is heavily used over the past few years to provide a great UI to the web site. In ASP.NET Web Forms there are several alternatives and my preferred choice is ASP.NET Ajax from Microsoft. In this post I’m excluding Partial Rendering (a.k.a. 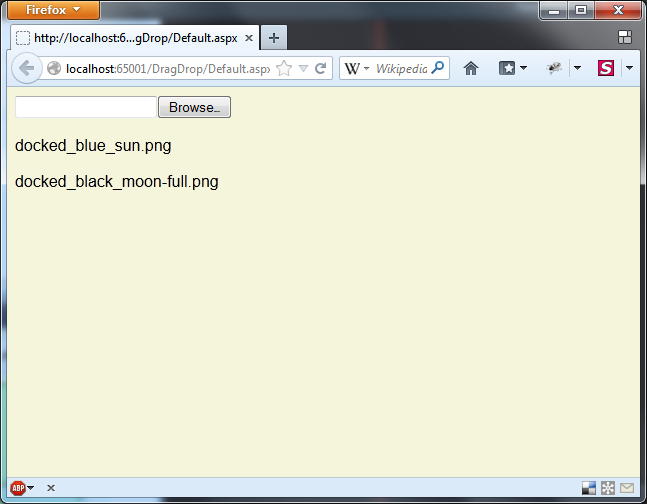 UpdatePanels), and I’m focusing on implementing a kind of PageMethods / WebMethods solution in MVC. Partial Rendering is good for some cases (although many would disagree one way or another), but this is a “different discussion”. 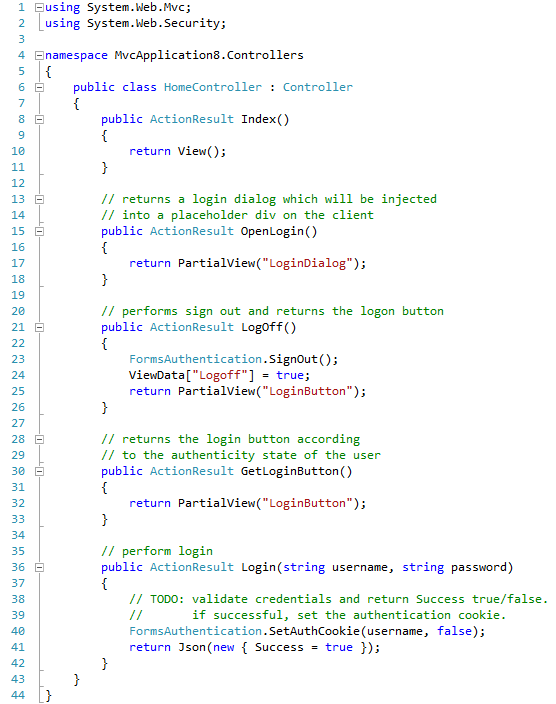 In ASP.NET MVC things are different. No ScriptManager is there to provide the client proxies and I was expecting lots of work. 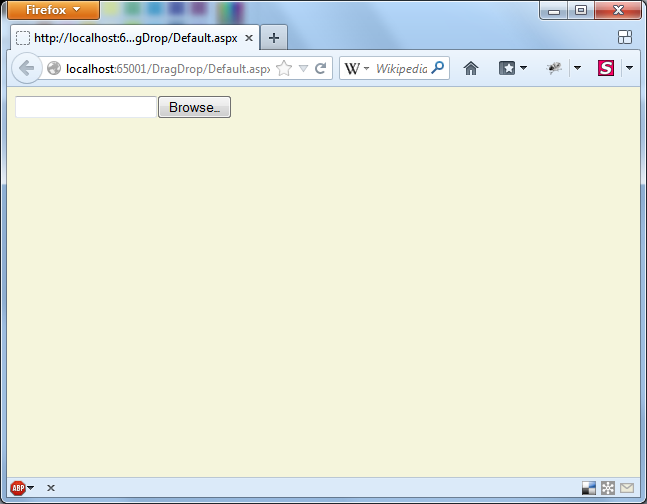 However, to my surprise, Ajax in MVC was quite easy to perform using jQuery. Credits are in order: you can read a summary of the different methods available for Ajax here. The difference between this post and the referenced post, is that this post is designated to provide a quick start to performing PageMethod-like implementation of Ajax in MVC, and will not cover each and every possibility and case in which a more through reading is required. 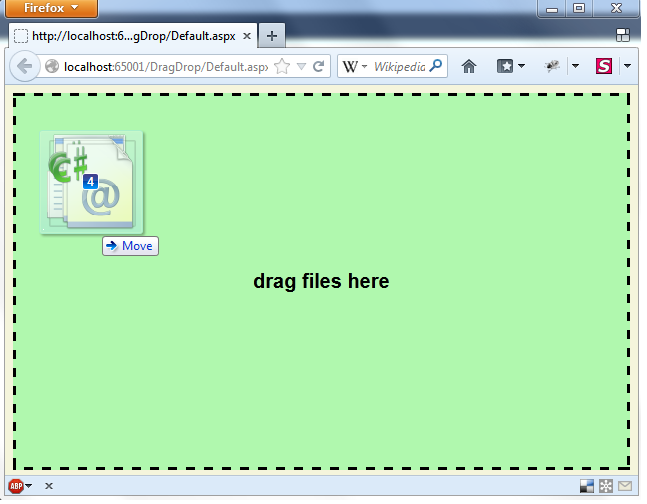 jQuery client code which performs an Ajax request. Server-side method which will handle that request. 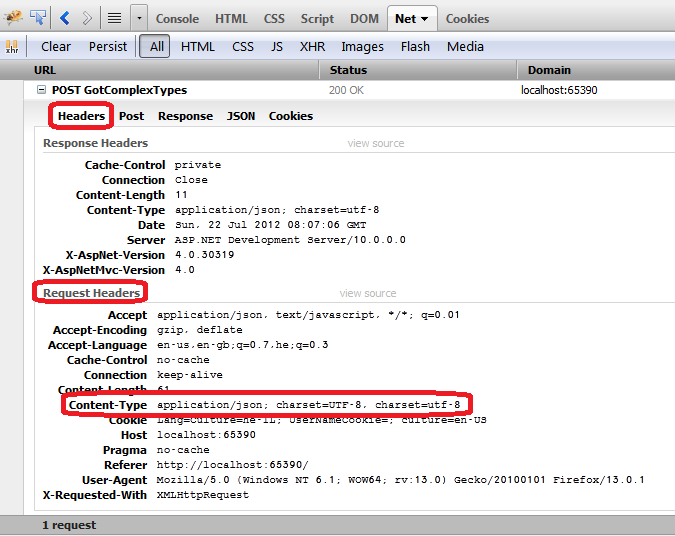 Note that in Line 3, Content returns plain text response to the client. There are other alternatives such as Json(…), which will return, well, Json. 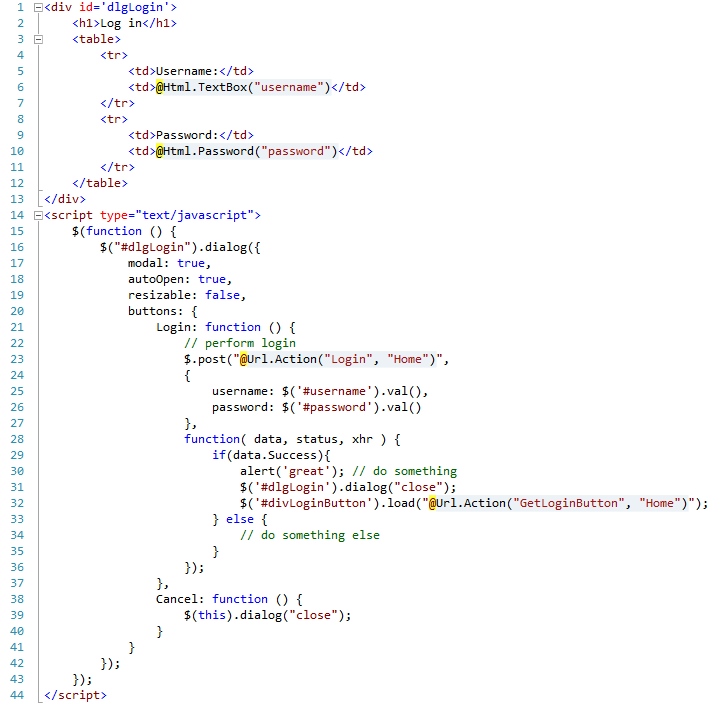 Lines 4-10 represents a simple GET Ajax call from the client, and a callback function upon success. 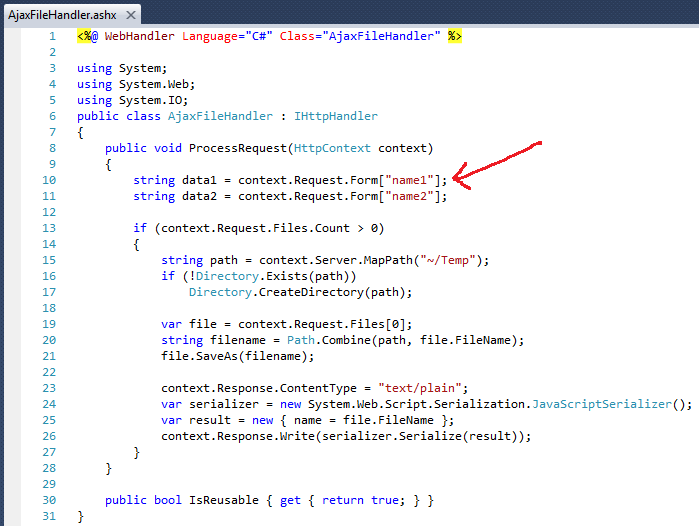 Line 4 specifies the ‘$.get’ for a GET operation (can be substituted for ‘post’ if required). 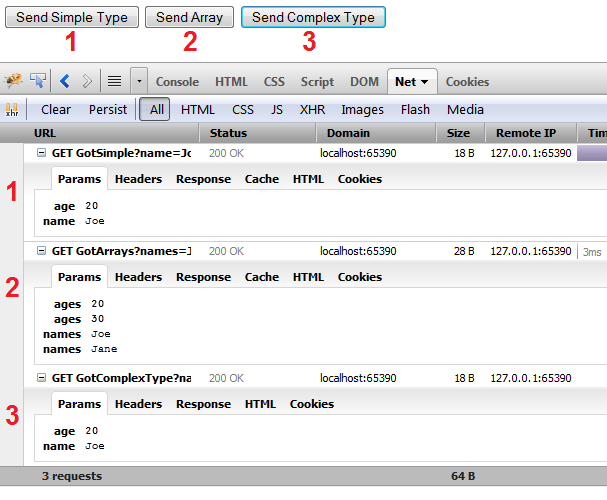 Also in line 4 you can see the server side code which renders an appropriate url for reaching the GetGreeting method. The Action method allows to specify a different controller than the View’s default (as assumed in this sample), and it is also possible to specify Route values. Lines 5-7 represents the data sent to the server. The data is a map of keys and values. The keys have to match the server side argument names. Lines 7-9 represent a callback function in the case of success (failure will be discussed below). Line 1 isn’t really mandatory if you’re certain that #log has been loaded by the time ajaxError is called. You can also bind the ajaxError to $(document). Line 3 simply injects the status of the error as text within #log (naturally, there are other properties that you can query and display). Line 3 uses jQuery’s param, which is what performs the serialization. The ‘true’ in line 6 specifies that you would like to use the traditional method (which serializes it so that MVC gets it correctly). You can read more about sending arrays ‘traditionally’ here.